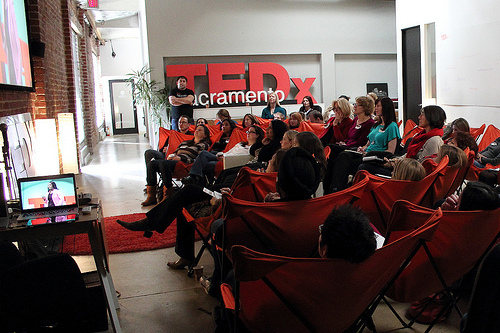 Watching TEDWomen in 2013 at The Urban Hive. TED is celebrating its 30th anniversary and TEDxSacramento is celebrating too -- with a TEDxLive event on March 18 at the TEDxSacramento headquarters, The Urban Hive. This event kicks off the 2014 TEDxSacramento schedule and will be exclusively attended and celebrated by TEDxSacramento leadership, past speakers, past attendees, and core volunteers. Although applications are closed [for TED2014], you can apply now for TED2015. In the meantime, if you're joining us for TEDxLive, be sure to check in and mention #tedxsac in your social media posts. UPDATED 2014.03.31 - Updates in brackets.